2016 Silver Medal Winner of the IBPA Benjamin Franklin Award. Your go-to resource for assembling healthy meals in just about any type of restaurant, from fast food to upscale dining and ethnic cuisines. Download the free companion app, Eat Out Well - Restaurant Nutrition Finder from the American Diabetes Association, from iTunes and Google Play. Eating healthy restaurant meals and accurately counting the grams of carbohydrate in those meals can be quite challenging for people with diabetes. But if you think healthy restaurant eating is nearly impossible, think again! To ensure you always have up-to-date nutrition information for restaurant foods at your fingertips, download the companion app, Eat Out Well - Restaurant Nutrition Finder from the American Diabetes Association from iTunes and Google Play. Search the nutrition information for hundreds of independent and chain restaurants based on your current location, and save your favorite dishes! 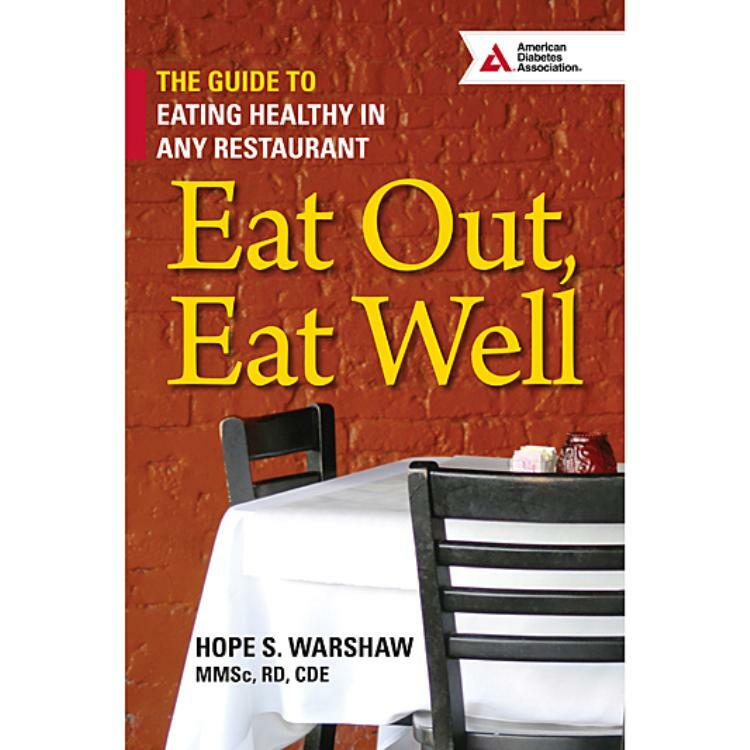 Whether you're eating in a restaurant, taking out, or ordering online, the strategies, nutrition information, and carbohydrate counts in this book—along with the companion app—will make healthy restaurant eating easier than ever.